1. Hridayananda Das Goswami is elected as a GBC member with zonal responsibility for Brazil. 2. Acyutatma Das is elected as a GBC member with zonal responsibilities for Moscow and St. Petersburg. 3. The resignation of Bhakti-Vijnana Goswami is accepted. 4. The GBC Body appoints a team of Romapada Swami, Devamrita Swami, Radhanath Swami and Vaisesika Das to function as the GBC authority for the Greater New York area. The Midterm General Meeting of the ISKCON GBC Society shall take place from October 15-21, 2018, at ISKCON Kanpur, UP, India. On October 15th and 16th, HH Hridayananda Das Goswami and HG Brahma Tirtha Prabhu met with the GBC Body and a special subcommittee to discuss some mutual philosophical concerns and Krishna West. 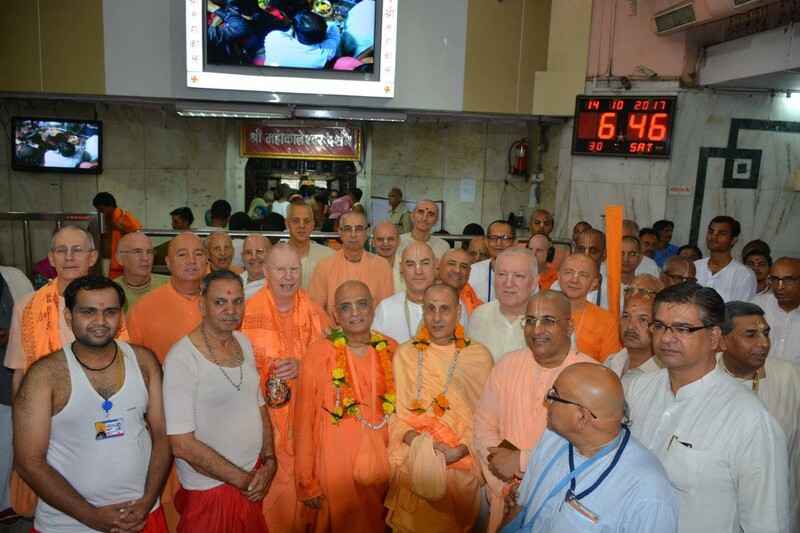 The committee members included the GBC Executive Committee–Bhakti Charu Swami, Madhu Sevita Das & Bhaktivaibhava Swami–as well as Sivarama Swami, Radhanath Swami, Guru Prasad Swami, Prahladananda Swami, Badrinarayan Swami, Bir Krishna Das Goswami and Praghosa Das. As a liberated maha-bhagavata, Srila Prabhupada perfectly presented the teachings of Lord Krishna and the previous acaryas. Controversial or paradoxical statements should be understood and explained in a way that shows proper veneration toward Srila Prabhupada and protects his dignity as the Founder-Acarya of ISKCON, and a pure devotee of Lord Krishna. 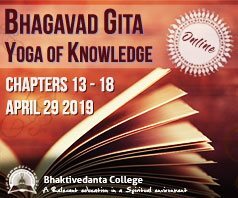 The GBC Body and Hridayananda Das Goswami are jointly striving toward a better integration of Krishna West within the general ISKCON preaching strategy. The GBC body has requested Hridayananda Das Goswami to serve as the GBC for Brazil, provisional to confirmation at the AGM. It is hoped that in due time, Dhanvantari Swami will assist Maharaja as a co-GBC. Dhanvantari Swami is requested to begin the process and education required to take up the service. We are grateful for everyone’s cooperation in this matter. While this group endeavors to come to a mutually beneficial and encouraging path forward, we request the assembly of devotees to maintain a respectful attitude towards all involved parties and avoid criticism on either side of the issue. Any questions in the meantime should be referred to the official spokesperson of the committee, Bir Krishna das Goswami. The GBC hereby establishes that the Vrindavan CPT team now has full child protection authority over the BGIS school. That team is composed of Gaura Purnima Dasi (Chairperson), Sevamurti Radhika Dasi, Kirtan Premi das, Nadia Dasi, and Sri Rama Pandit Das. Additional members may be appointed by the CPO Director. Sevamurti Radhika will continue to serve as the full time Child Protection Officer for the school. The CPO International Director, Kamlesh Krishna Das, will be in regular contact and seek reports from the CPT team and the school management to measure progress and expected improvements in child protection standards at the school. 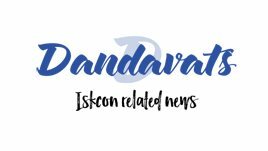 The principal of the school, Harikeshwar Das, and Sevamurti Radhika Dasi, will attend weekly meetings of the Vrindavan Management Committee. The Administrators of the BGIS agreed to fully cooperate with the CPT team above, and recognize that the CPT team is directly empowered as a representative of the GBC Body. The CPO International Director will submit a formal report to the GBC regarding progress, standards, and any violations of child protection in advance of the Annual General Meeting (AGM) of the GBC in February 2018. The GBC shall review this report and make further decisions regarding the future status of the school at that time. (a) I am aging. And though (as far as I am aware) no mortal disease has yet laid claim on me, I have reached the years where my powers are dwindling, not growing. (b) I am a member of an older generation, I welcome the opportunity to move aside in favor of those who are younger. (c) I will be happy to continue to serve the BBT as an advisor for however long my service may be useful. But for this I need not hold a post. We hereby confirm our acceptance of the resignation of Jayadvaita Swami from the post of trustee of the Bhaktivedanta Book Trust (the California/USA trust based in Los Angeles). We understand that Jayadvaita Swami continues to work as part of the global body of BBT trustees and directors as a consultant, thus pushing forward the BBT’s mission. The GBC would also like to offer its deep appreciation for Jayadvaita Swami’s decades of dedicated and excellent service to the BBT. Whereas any devotee who has studied Srila Prabhupada’s life and teachings knows that he wanted his followers to inundate the world with his transcendental books. Whereas the ‘One World Team’ proposal incorporates a unified world-wide goal-driven approach for book distribution for temples all over the world. 1. The GBC embraces the ‘One World Team’ to cooperate with the expansion and organization of book distribution all over the world. 2. The GBC Zonal Secretary will ratify the annual goals set for the ‘One World Team’ and will monitor and encourage their zones to accomplish those goals. Note: The related logistics and support services for this proposal will be performed by the BBT Marketing and Communications Department.